One of Deb's more popular Christmas designs, these stockings are just waiting to be filled! All you need to do is just add the names. 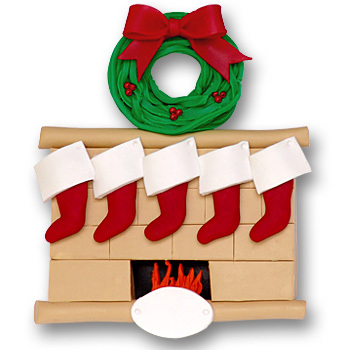 This Christmas ornament is perfect for a couple, children or grandparents. A wonderful way to commemorate a special Christmas in your family's life. Measures approximately 4½" x 3½"